Some call it Take Away Service. Others call it Polaroid Printing. We call it what it is: Direct Photo Print to the Wedding! Many couples request to us this service. The reason is simple: it always has an amazing success! What does the Direct Photo Print feature consist of? It’s very simple. It is a wedding gift idea for the guests. Everybody has the opportunity to take home a souvenir of the wedding, the same day, when the emotion is still “hot”. A selection of photos of the day are processed and printed in record time. 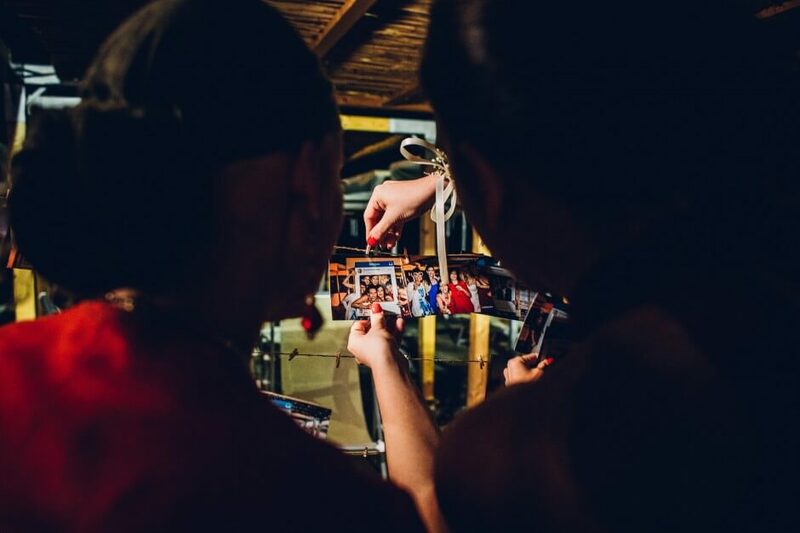 The JoyPhotographers staff puts them in the location, at the disposal of the guests, who can choose their favorite and bring it home as a memory of the wedding day! Direct Photo Printing at Wedding is usually done during reception. The photographer or the assistant download the photos taken up to that point on laptop. Then they select for you the most interesting 60-70, postproduce them and print them through a mini printer. Once the prints are finished, the photos are displayed in location so that friends can view and take away the ones they like most. That’s why this is also called “Take Away Service”. Why friends always love this idea? Every time we are asked for the Direct Photo Service at the Wedding, prints are always stolen and the guests are excited. Why? We try to print photos that include more people present at the wedding. In this way, everyone can find a photo that interests them closely! And then, the photo on paper retains a unique charm. More and more in this era, where photos are almost exclusively on the web. It happens, even, that the guests post on social one of our prints that they photographed. On this page we show you some sample images, to give you inspiration and ideas on this service. It is a service that we do on request, so please contact us to have it for your wedding party!